Every Wednesday at 9:13 am, one of WYEP’s trusted music experts joins me (Cindy Howes) on The Morning Mix to play a couple favorite new songs and share some insight. Today we welcome Sarah Wardrop from WFUV in New York! In case you missed, it here’s what she played: Bridget Kearney & Benjamin Lazar Davis, "Slow Rider" - Bridget Kearney (Lake Street Dive) and Benjamin Lazar Davis (Cuddle Magic) are longtime collaborators who met while at New England Conservatory. As students of music, it's not surprising that their recent travels to Ghana involved exploring the area's musical traditions. One particular style called Bawa caught their ears, and it inspired the sound and title of the duo's new EP. This song, "Slow Rider," builds around a guitar loop and the rhythms layered around it make the song equally jarring and hypnotic. 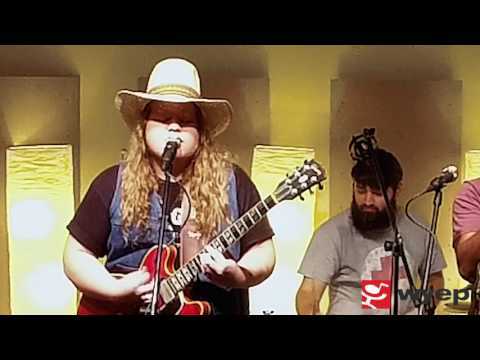 The White Buffalo, "Modern Times" - Songwriter Jake Smith performs as The White Buffalo, and although he's LA-based, to me his sound has a more rural feel. He also has a distinct voice that adds him to an impressive list of deep-voiced songwriters (Johnny Cash, Greg Brown, Eddie Vedder, Sean Rowe) who can growl and bellow and still bring gentleness to a song. "Modern Times" comes from his fifth album, Love and the Death of Damnation, and finds Smith expanding the instrumentation of his sound and also upping the tempo. Be sure to watch the lyric video, as the song also inspired him to show off his moves.